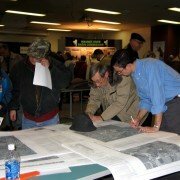 Encouraging Trail Access: Indiana's New Limited Liability Law | Jill Saligoe-Simmel, Ph.D.
January 31, 2018 /in Active Transportation, Environment & Society, Portfolio, Trails, Parks & Greenways, Urban & Regional Planning /by Jill Saligoe-Simmel, Ph.D.
Communities across the state are working to convert abandoned railway beds to trails as part of the national “rails-to-trails” movement and establishing other bike-walk linear parks and greenways. Beyond recreation and immediate health benefits, linear trails serve as important pedestrian and bike corridors through which people access schools, jobs, food, transit, and community centers. They can provide tree canopy and refuge for wildlife. They are a source of pride for communities, contribute to increased property values and quality of life. Unfortunately, providing neighborhood access to those trails and greenways can be a challenge, particularly in communities where pre-established private property boundaries block access to trails. Several issues may need to be addressed to establish neighborhood trail access through private property, including available space, privacy, parking, improvements, maintenance, and landowner liability. Here we focus on the concern of landowner liability. Concern and confusion over landowner liability provide a disincentive to establishing shared-use access points on or through private property. When private property owners consider granting recreational access through their property, the question of liability remains, “If I let people walk through my property and someone gets hurt, will I be liable?” Such concern can cause private landowners to delay or deny neighborhood access. As we build more trails around the country, enabling neighborhood access is anticipated to be a growing issue. Limited liability laws can provide statutory protection for property owners who open their land to the public. They remove a significant disincentive to providing trail access on or through private property. Lowering barriers to access is critical for communities that are establishing rail-trails, greenways, parks, and similar areas used for recreational purposes. While it doesn’t solve all the issues of access, it is an important tool in the tool chest for encouraging and enabling trail access and use. Last week Indiana House Bill 1115, authored by Representatives Carey Hamilton and Wes Culver, passed the Indiana House and Senate unanymously; on Mar 9th, 2018, it was signed into law by the governor. The Bill limits the liability of landowners for recreational access to trails, parks, and greenways. Important: the Bill does not require landowners to provide access through their property to access a trail or greenway. Rather, it limits landowner liability if someone passes on or through their property for this purpose and is injured, similar to landowner immunity for other recreational purposes such as hunting and fishing. Indiana already has limited landowner liability for hunting, fishing, and other recreational uses. HB 1115 includes access to rail-trails, parks, and greenways. 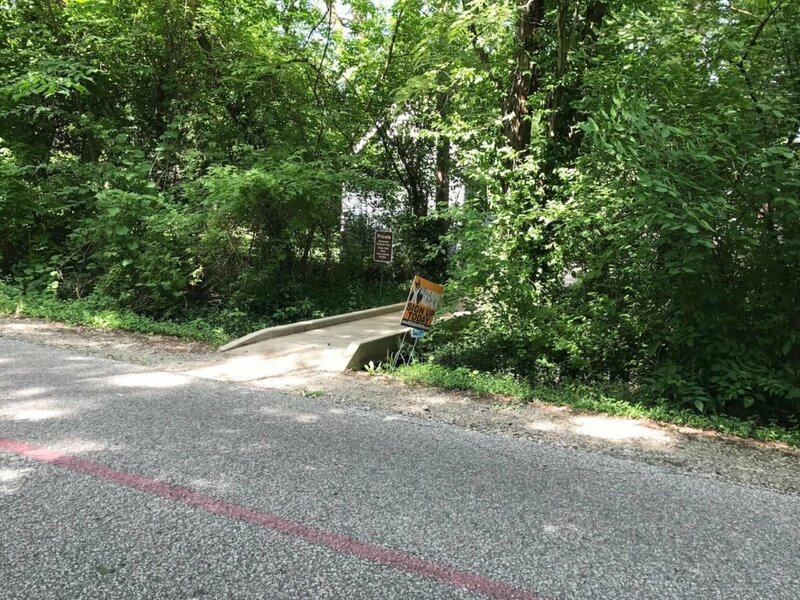 The Indianapolis northside suburb of Nora provides a case study for the impact of disconnected neighborhoods on trail access. Nora is the proud birthplace of the world-class Monon Trail & Greenway. Paved in 1999, a 3-mile section of the trail runs north to 96th Street and south to the White River (the trail extends for several miles in both directions beyond Nora). 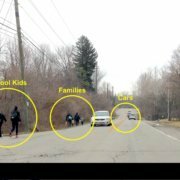 It traverses the edges of suburban neighborhoods, the Indiana School for the Blind and Visually Impaired, nearby schools, and busy Nora Center. 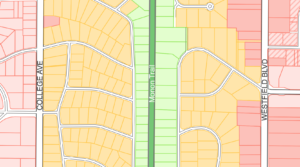 Private property abuts the trail (green); properties in adjacent neighborhoods (orange) lack access unless provided through private property. As is typical with suburban communities, many of Nora’s neighborhoods are disconnected from each other, and from a traditional urban street grid and pedestrian network. When neighborhoods exist before trail development, pre-established private property boundaries make access to trails/bikeways/greenways/other recreation challenging to retrofit. Nearly all of Nora’s single-family residential neighborhoods adjacent to the Monon Trail lack formally established public access (approximately 560 households). In these neighborhoods, trail access occurs on or through private property, or not at all. Families might live within spitting distance, but have to drive to trailheads to get access. Nora neighbor, Susan Wever, shares these concerns, “The edge of my property has become the entrance point for my entire subdivision and for residents of other nearby neighborhoods and apartment complexes. Dozens of people walk through my property every day to access the Monon Trail. If unable to access the Trail from my property my neighbors would have to walk (or drive!) a mile or so, along a fast and busy road that lacks a sidewalk, to get to an official trailhead.” Passage of HB1115 gives Susan peace of mind that she can continue to allow access without exposing herself and her family to unnecessary risk. The Monon Trail is Nora’s primary pedestrian corridor. Landowner liability is a concern the Nora Alliance is working to alleviate because enabling trail access is a key component to connecting people to nature, recreation, schools, transit, food, jobs, and public services in Nora Center. Similar state legislation to promote recreational use of land and water are highlighted below. Although it does not specifically address private property limited liability, cities, and counties in Washington State are required to develop Shoreline Master Programs (SMPs) that regulate development within areas near marine and freshwater shorelines. These SMPs must contain “a public access element making provisions for public access to publicly owned areas.” The WCZMP addresses public access through the local government public access plans required for SMPs, by developing and providing easily accessible information on existing public access to shoreline planners and the public. The Coastal Program also works with state agencies, local governments, and nonprofits to increase public access through land acquisition. Maine has a strong landowner liability law which protects landowners from suits by people who get hurt on their land while they are engaged in some recreational activity. The landowner is protected whether or not permission is given to using the land (Maine Revised Statutes Section 59a). This protection removes a strong motive for landowners to forbid people to use their land. An owner of any estate or any other interest in real property, whether possessory or nonpossessory, owes no duty of care to keep the premises safe for entry or use by others for any recreational purpose or to give any warning of hazardous conditions, uses of, structures, or activities on those premises to persons entering for a recreational purpose, except as provided in this section.